The Sundance Film Festival is an amazing, wild ride, with so many screenings, panels and events taking place simultaneously that it's tough to choose which one to attend. The Filmmaker Lodge, located on Main Street in Park City, is a cozy retreat from the swirl of activity. The Filmmaker Lodge, which merged with the House of Docs in 2003, also hosts panel discussions and informal industry meetings. "The House of Docs was initially established to bring the documentary film community together at Sundance," says Diane Weyermann, director of the Documentary Film Program. "It worked so well that we decided to open it up to be inclusive of all filmmakers." Weyermann explains that Sundance is seeing more and more documentary filmmakers crossing into fiction, and vice versa. There is also an increase in the blending of documentary with fiction. "Dividing documentary from the rest of the filmmaking community seemed a bit artificial," Weyermann maintains. With an inviting câfé, the lodge is a friendly environment to have a cup of coffee, talk with other filmmakers or just gather your thoughts before heading into a panel or off to a screening. This year over 7,000 people came through the lodge. The panel discussions offered a mix of current topical issues facing the documentary community and industry-oriented discussions. The panel Documentary or Fiction: The Growing Debate Over the "Hybrid" Form addressed the growing trend toward blending genres. Each of the three filmmakers on this panel chose very different ways to use the hybrid form. Kevin Willmott's film CSA: Confederate States of America is based on the question, What if the South had won the Civil War? Willmott explained that he chose this form because he was looking for a new way to explore the issue of slavery without making it a worn-out history lesson. "By doing the ‘what if,' I was able to do the ‘what is,'" he noted. "It seemed like the only way to tell the truth about America was to give a false history of it." Willmott, who calls his film a faux documentary, explained that everything in the movie is basically true. "I felt like I could stand behind all my choices because they were all based in some kind of historical fact," he explained. Asked what he'd call his film The Big Durian, Malaysian filmmaker Amir Muhammed demurred, "I've always called it a movie." Muhammed admitted that although he didn't make up any testimony, he'd feel uncomfortable calling it a straight documentary. He collected close to 100 testimonies about a tragic incident that occurred in Malaysia over 15 years ago. Then he employed a selection of well-known actors to perform the testimonials on camera alongside the non-actors. Muhammed says he made the film this way because he felt the form fit the subject. The incident in question was the first instance in which he "disbelieved" the media; he saw politicians on TV and thought that some of them were "acting." On a more practical level Muhammed chose this form to make the film more interesting for an audience in Malaysia, where, according to the filmmaker, "documentaries have a boring, staid, preachy reputation." Muhammed maintained that using famous actors brought people in to see the film. Christian Johnson's September Tapes is about a journalist seeking the truth in Afghanistan, post-September 11. Inspired by the courage of war correspondents covering that country, Johnson jumped at a rare opportunity to visit. The film is based on conversations and interviews Johnson and his bare-bones crew had with the Mujahideen, the militant resistance faction. For September Tapes, which has been called both "reality fiction" and "guerrilla warfare," Johnson "actively re-created" scenes in as much of a controlled situation as possible. Throughout the discussion, audience members queried the panelists about authenticity and the ethical questions faced by filmmakers who blend documentary and fiction. Some also questioned where the documentary form is headed, with one panelist going so far as to contemplate the absence of a documentary category at Sundance ten years from now. In introducing the panel Ethics in Intimate Stories: Filmmakers and their Subjects, moderator Catherine Olson of the Canadian Broadcast Corporation mused, "The official title of this panel...could more accurately be called, When Is Close Too Close?" Panelists Zana Briski and Ross Kauffman (Born Into Brothels), Kim Dong-won (Repatriation) and David Petersen (Let the Church Say Amen) grappled with a number of questions: When do you stop being a filmmaker and start being a friend? When does being friends with your subject become disruptive? Who makes final editorial decisions? What are the consequences of making the film? How will it continue to impact the subject's life? 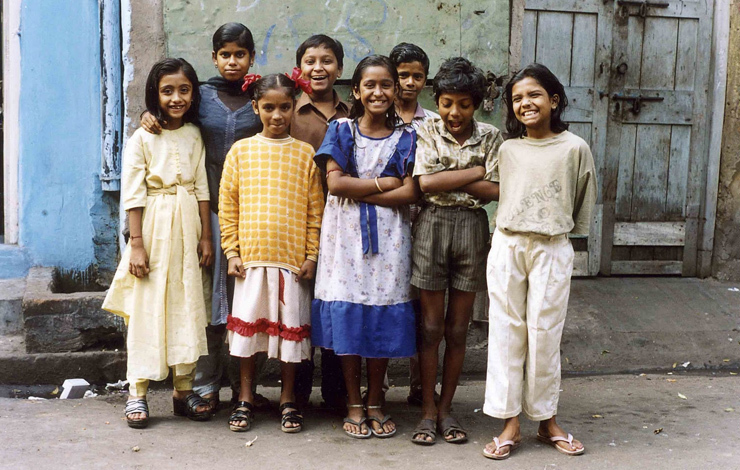 For Briski, who co-directed Born Into Brothels, about children living in whorehouses in the red light district of Calcutta, there was never a question. The well-being of her subjects was always the priority; the film came second. Kim's Repatriation is the story of North Korean spies who were imprisoned in South Korea for 30 years. Since he made the film over a 10-year period, Kim became friends with the subjects, which made it difficult to decide when to film and when not to film—and what to edit. Petersen became involved with the church community before making Let the Church Say Amen, and he continues to stay involved. During the panel entitled The Politics of Fear, moderator John Anderson, a journalist from USA Today, posed the question, "In an atmosphere of fear, how does one make films that challenge the status quo?" Panelists Robert Stone (Neverland: The Rise and Fall of the Symbionese Liberation Army), Alison Maclean (Persons of Interest), Jehane Noujaim (Control Room) and Andrei Nekrasov (Disbelief) talked about making politically courageous films in a post-September 11 environment. Maclean said one of the challenges of making Persons of Interest, a film about secret detentions after that fateful date, was getting the subjects to participate in the film. Noujaim spoke about the difficulties of getting access to and telling the story of the Qatar-based television station Al Jazeera in making Control Room. Nekrasov talked about the challenges of getting Disbelief seen and distributed. The film addresses the 1999 bombing of an apartment in Moscow for which the Chechnyan terrorists were blamed but were not responsible. Stone maintained that his Neverland: The Rise and Fall of the Symbionese Liberation Army is not so much a political advocacy film as a parable of where we are now—a nation as polarized today as it was in the mid-1970s. This provocative panel left the audience thinking about censorship. The panelists offered that the only way to create a national debate and effect change is to talk about issues and reach out to people who disagree with you the most. Sundance also presented a special panel on Emerging Documentary Filmmakers and Stories from South Africa. The panel presented highlights of "Project 10," an international collaborative project to mentor and train South Africa's emerging filmmaker community in commemoration of ten years of freedom in the country. The array of panels reflects the Sundance Institute's mission to support international work and independent voices. The Documentary Film Program continues to grow. The Sundance Documentary Fund has expanded the institute's international work in the field of documentary and, this summer, Sundance will launch a Documentary Editing/Storytelling Lab. For more information on the Documentary Film Program, go to www.Sundance.org. And if you go to Sundance next year, be sure to visit the Filmmaker Lodge! Laura Almo is a documentary filmmaker and writer. She is working on a doc about memory and exile in post-Franco Spain. Docudrama: The Form of Last Resort?